Independence. From the earliest time I can remember, I would leave our family’s apartment in the Flatbush area of Brooklyn, and my parents had only a vague sense of where I might be. Were there days when I got in trouble that could have been avoided? Yes. Did I grow up with self-confidence and independence? Yes. Today’s children and parents assess risks differently, and the “see something, say something” culture has led concerned individuals to contact the police rather than a parent when they are concerned that a child might be in jeopardy. 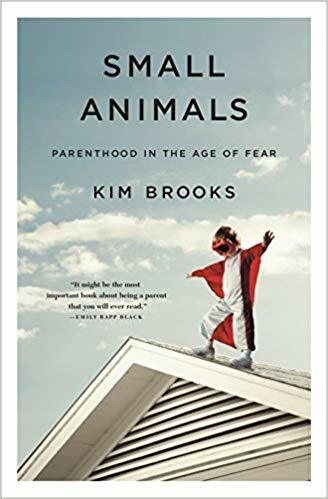 Kim Brooks has written a book titled, Small Animals: Parenthood in the Age of Fear, that uses her own experience with leaving a child in a car for a few minutes, to describe current social expectations and the angst of parents. If selected for your book group conversation, count on hearing lots of stories about child rearing in the past and present. Rating: Four-star (I like it) Click here to purchase Small Animals from amazon.com.